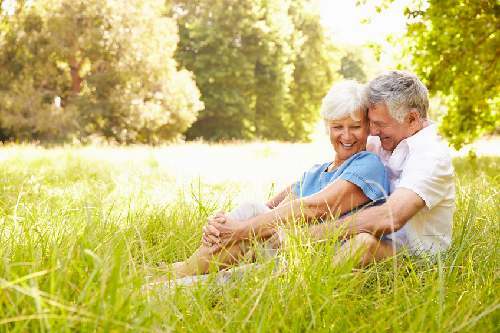 Home » General Health » Is Sun Exposure the Key to a Long, Happy Life? But the results of a new study from Sweden are showing that more sun might actually be a good thing. It found that people who get more sun exposure over the course of their life outlive those who get less (1). Should You Ditch the Sunscreen? Now does this mean you should ditch the sunscreen and spend the rest of the summer baking in the sun? Not quite. The study failed to prove causation, and the results may point more to the fact that people who get a lot of sunlight exposure outdoors are more active or less likely to smoke, or perhaps have better diets. All of these things are known to extend a person’s lifespan. There has been research indicating that direct exposure to sunlight, particularly before noon, can help reduce weight, lower the risk of heart disease, and improve overall happiness. Getting your sunlight in before it becomes too intense is likely the safest way to play it, and the benefits may be far-reaching (2). Along with the fact that this study failed to prove that sunlight was directly responsible for increased longevity, it also indicated only marginally longer lives for those who got more sun; they only lived about seven months to two years longer. The study also made no mention of quality of life.